The DD4 from Pelco is a spectra mini indoor dome drive with high resolution color security camera that is designed to offer high surveillance support with its many different features. 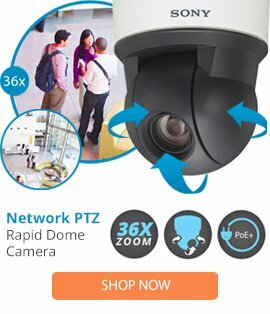 The DD4 mini dome drive security camera comes with a 360° rotation, a 10x optical zoom, automatic white balance, as well as a UTP circuit, and NTSC formatting. The DD4 security dome drive also features an 8x digital zoom, a 3lux illumination, 768 x 494 total pixels, 470TV lines, plus a 50dB SN ratio, and 4 programmable zones. This mini dome drive security camera is designed for long term installations, and can be used to promote high operation for long term setups.